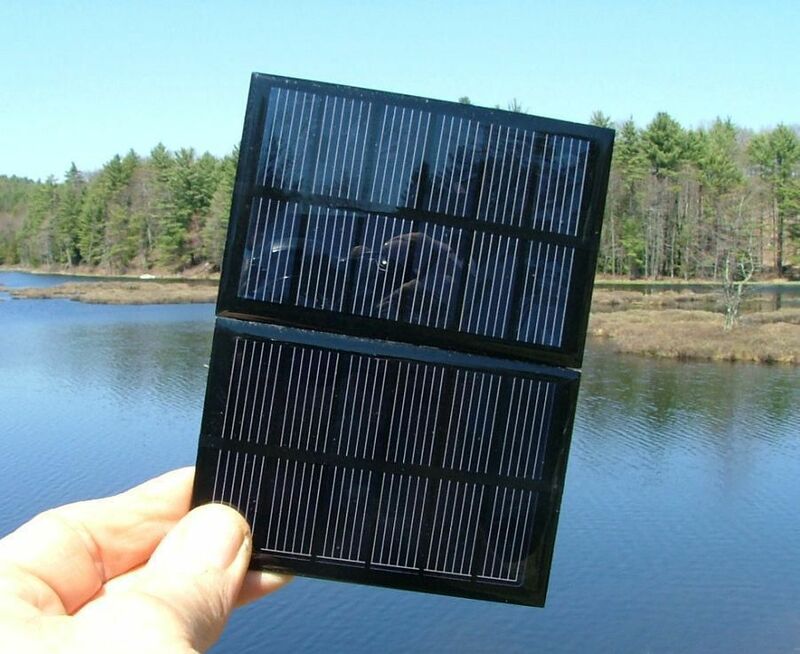 Learn about solar panel voltage, current, solar panel angles and solar battery charging. 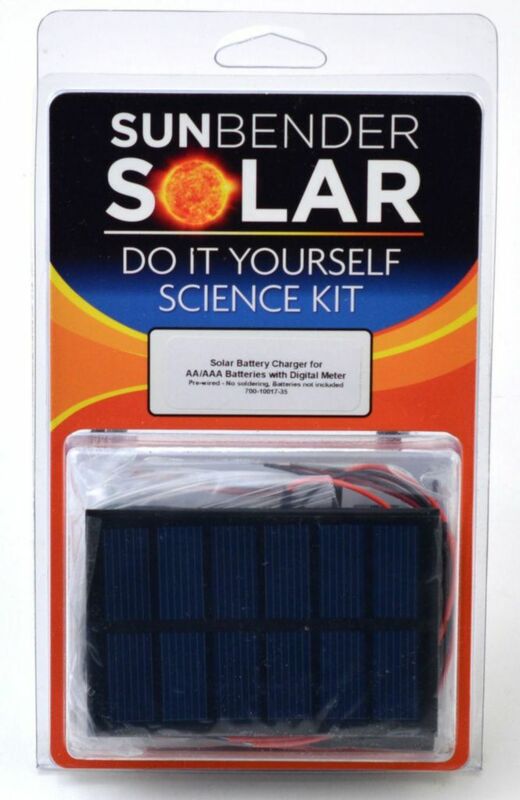 Our new DIY solar battery charger for AA batteries is a simple kit to build and also teaches you about solar energy. 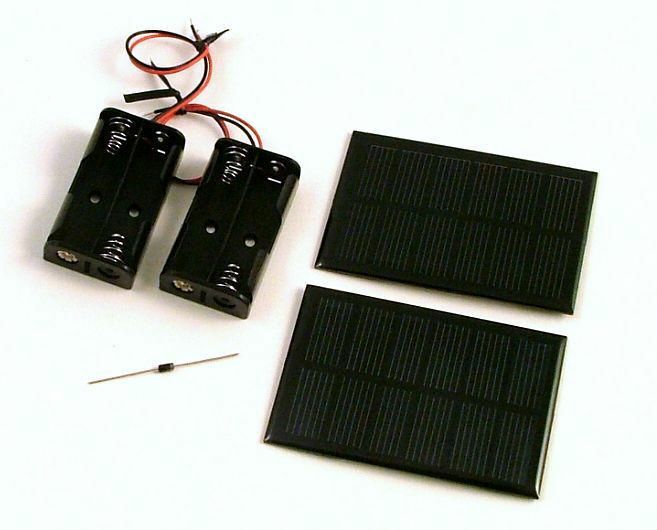 The solar charger will charge 2 or 4 AA batteries (AAA's with adapters). It will charge 2 batteries at a charge rate of 400mA and 4 batteries at a charge rate of 200mA. 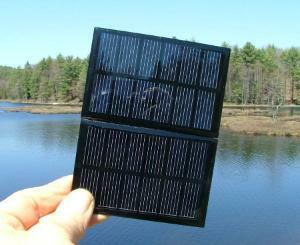 This means 2 2000mAhr batteries would charge in about 5 hours and 4 batteries would charge in about 10 hours of full sun. Higher capacity batteries will take a little longer. The kit requires very basic soldering skills and a few common tools. Requires AA NiMH batteries (not included).